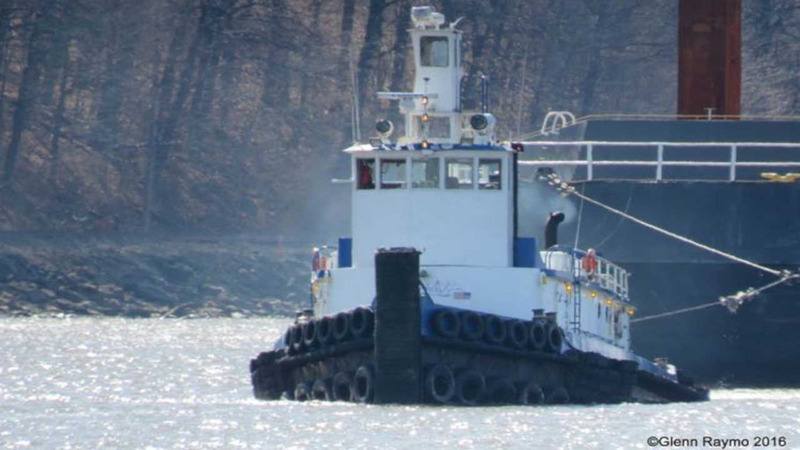 TARRYTOWN, New York (WABC) -- A crane is being brought by barge from Virginia to lift the tugboat that sank in the Hudson River over the weekend; a salvage operation is expected Monday. Dive teams have been trying to access the last of the three victims, but poor visibility, location of the crew member in the vessel and damage to the vessel are all working against divers. The body of Harry Hernandez, of Staten Island, will not be removed until the boat is lifted to the surface. "They searched everywhere they could reach," said Westchester County Police spokesman Kieran O'Leary. The 90-foot tugboat named Specialist hit a construction barge Saturday where workers are building the new Tappan Zee Bridge. It sank in minutes. The autopsies of the two other men killed in the collision on the Hudson River north of New York City showed they drowned. On Sunday, divers recovered the body of Timothy Conklin, of Westbury, N.Y. The body of Paul Amon, of Bayville, N.J., was retrieved Saturday. A funeral for Conklin will be Wednesday at St. Brigid's Church in Westbury. Amon's funeral is also Wednesday, at St. Pius X Church in Lacey N.J.
O'Leary said investigators still were conducting interviews and trying to piece together exactly what happened.